Just when you thought you had seen everything there was to see on the Jungle Cruise, Tokyo Disneyland “plusses” it. 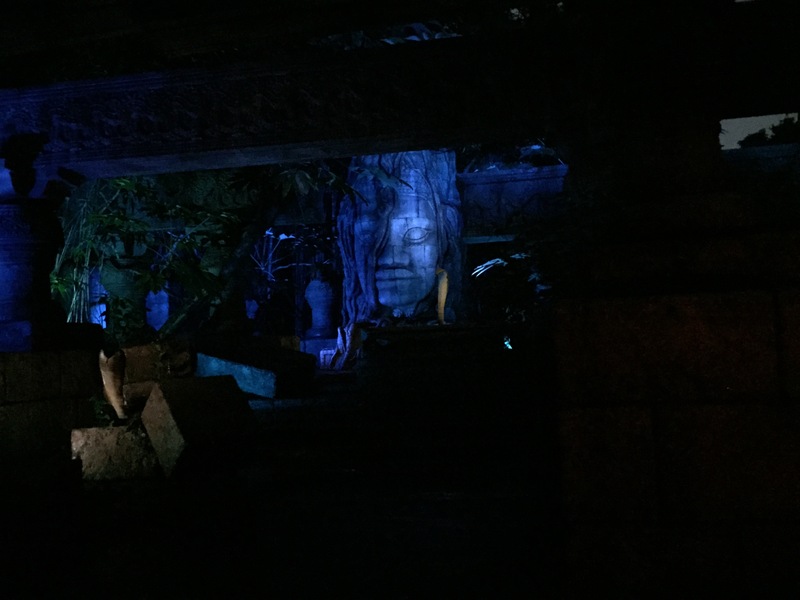 The Jungle Cruise has had a long and venerable history in Disney theme parks. It was one of the original rides on opening day at Disneyland and is featured in four of the five current Disney resorts (Disneyland Paris being the only one not to feature the attraction). Bad puns and awful jokes are part of what makes the attraction the beloved ride that it is and for the most part, the attraction is pretty similar from place to place. Because you’re familiar with it, you might be tempted to bypass this attraction and move onto something more stimulating. But you’d be missing out, especially at Tokyo Disneyland. Each Jungle Cruise has had some differences. The queue at Disneyland actually has two levels. In Tokyo, the attraction shares its building with the Disneyland railroad. And in both Florida and Anaheim, the Jungle Cruise is transformed into the Jingle Cruise during the winter holidays. 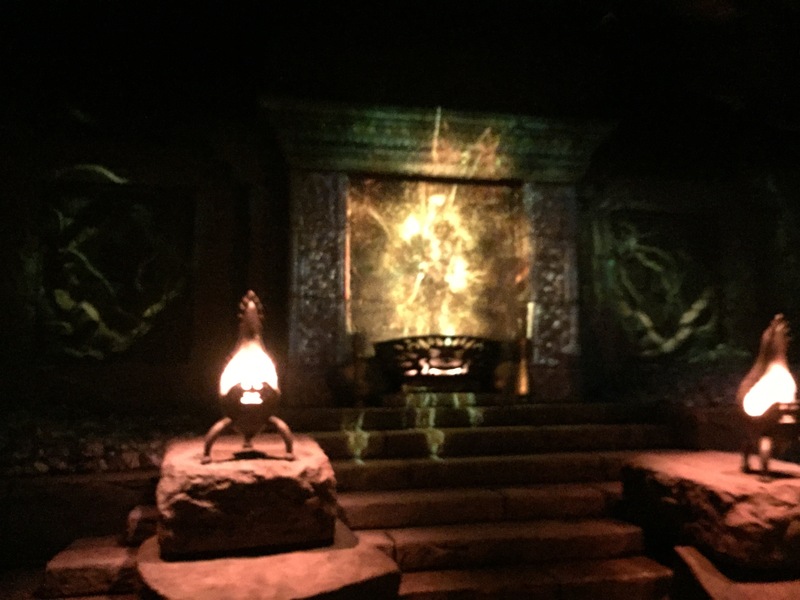 When it opened in Hong Kong Disneyland, Imagineers took the opportunity to add a scene between an angry fire god and water god who are constantly battling each other. The boat is surrounded by flames whose heat makes a noticeable difference, only to be suddenly doused by the flash flood water bomb of the water god and the boat makes its escape. The sequence was reminiscent of something you’d see at Universal Studios on their tram tour. The temple begins to transform before your very eyes! But last fall, Tokyo changed things up quite significantly. Now called “Jungle Cruise: Wildlife Expeditions” the classic attraction has taken on new life with brand new effects and even a new spiel. According to D23, in the past the Japanese spiel was simply a translated version of the American spiel and didn’t take into account cultural differences. Now, the spiel is written by a Japanese writer specifically for their attraction, which if you can go by the laughter in our vessel makes a big difference. Also, in the scene with the lions, “Circle of Life” plays prominently as you enter, making for a stunning and emotional effect. But the most noticeable difference is the ship’s journey into the temple. As you go inside, the temple takes on a life of its own and suddenly transforms before your very eyes. The visual effect is quite stunning and surprising and looks even better at night. In fact, Tokyo Disneyland offers a “nighttime” version of their cruise which takes advantage of different lighting effects to make it even more unique. Fireflies and animal eyes surround the boat as it cruises through the jungle and the area is bathed in moonlight for dramatic effect. 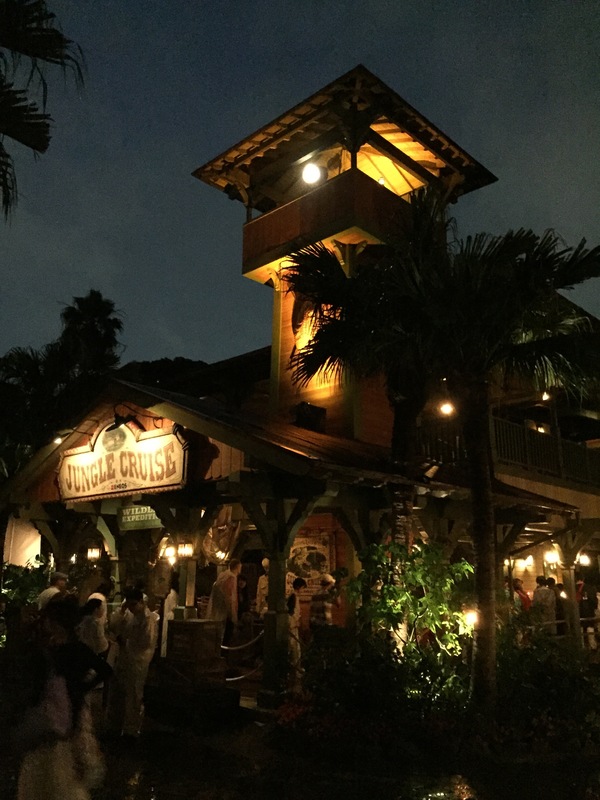 If you get the chance to go to Tokyo Disneyland, don’t miss out on this “new” version of a classic attraction and enjoy the Jungle Cruise in a completely different way.